We make shifting a home or office by offering professional packers and movers indore services. We’re open seven days a week and we can undertake last minute moving projects. We have the necessary tools to tackle any type of move large or small, leaving you to look forward to your new apartment or workplace in Indore. Vijay Packers & Logistics is the best movers and packers company having branches all over India. We are offering the quality of packers and movers service by a highly trained team, who will go with extra care to ensure your shifting is stress free and efficient. 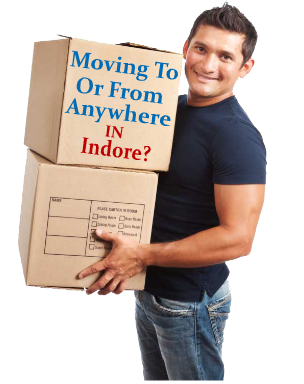 Why Us For Packers and Movers Indore? You can request Quick and comprehensive packers and movers quotes in indore for all kind for moving job are available at Vijay Packers & Logistics. We keep our quotations competitive and easy to understand. So, Don't waste your time in searching for best packers and movers indore company in India. Call at +91-9325838488 and Get Relax!